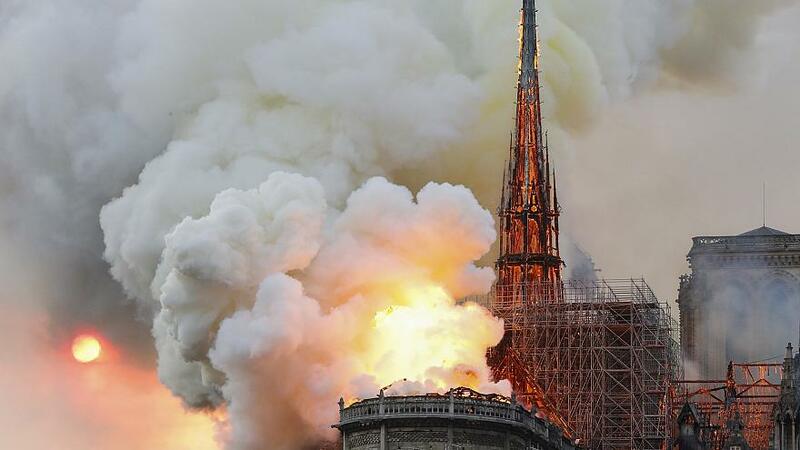 Notre Dame Cathedral in Paris is aflame. Judging from this photo there was work being done on the back end of the iconic structure. No word as to the extent of the damage, but early reports say it was accidental. Notre Dame Cathedral in Paris, one of the world’s most recognizable buildings, is in the midst of a firestore. It is not known if the iconic treasure is a total loss. Salvage efforts were underway to recover precious artifacts and city prosecutors announced they were opening an investigation into the fire, which preliminary accounts say appears to be accidental. 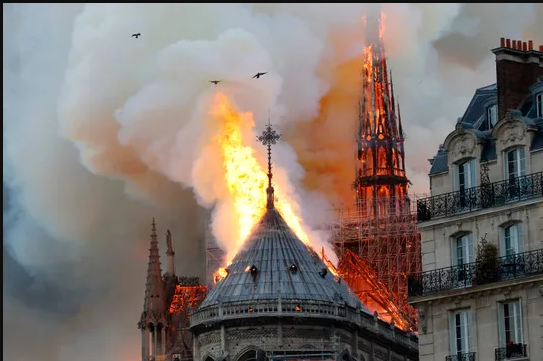 A spokesman for Notre Dame, Andre Finot, told the Le Figaro newspaper that the "treasure" of the cathedral has not been touched so far. "We must see if the vault, which protects the cathedral, will be touched," he said. "The sacred objects are preserved in the sacristy, normally there is no risk of things being burned." April 15, 2019. How ironic that such a revered building has survived for centuries when modern firefighting techniques were unavailable. It is a tragedy, but knowing the French they will rebuild. Below is a pre-fire image of the Cathedral, which was built beginning in 1163.